I’ve seen a lot of downright hatred towards Web hosting companies — especially on forums — which offer “unlimited” Web hosting plans. I think some of that criticism is a bit unfair. And while I know it might make me the bad guy to some, I think it’s time for a reality check for some of those folks. So today let’s talk about “unlimited” Web hosting, why some people despise the concept, and why I think that’s a little bit silly. Most of the criticism I’ve seen about “unlimited” Web hosting offers interestingly hasn’t come from customers using these plans. Most has come from other Web hosting company owners who are in direct competition. And that’s a part of my issue. There are ulterior motives — complaining when you don’t like a competitor’s marketing tactics. That said, I have also seen criticism from some customers who had accounts suspended or who were charged more for exceeding resource limits in some way. However, in every case I’ve seen like that there was an issue of the customer not bothering to read the terms they agreed to or not bothering to track their own usage stats in any way, which is why the suspension or charges came as a surprise. But we’ll get to that issue shortly. And that about sums up the complaint — the packages are marketed as “unlimited” (usually unlimited storage space and / or bandwidth), but you might not be able to use those resources in an unlimited way because there are limits on other things (like limiting you to a certain percentage of system resources at any given time). In other words, you’ll meet those limits before you can really take advantage of “unlimited” storage space for example. And because you can’t technically have unlimited space on a drive with a set limit, these hosting companies are always technically overselling the physical space available. Now, don’t get me wrong. I do understand the criticisms. But I also understand the concept of target markets, I’m smart enough to read the fine print to know what’s involved with my hosting accounts, and I know that “unlimited” Web hosting packages aren’t ideal for everyone. And that’s okay. I don’t expect every webmaster or blogger to find unlimited accounts appealing. I highly doubt the Web hosting companies do either. They’re focusing on a very specific target market. That generally includes new site owners or owners of small sites and blogs who really aren’t doing anything terribly resource-intensive. This is why overselling (in my experience with larger unlimited hosting providers at least) doesn’t usually cause a problem. You do have unlimited space when you look at it in terms of space you actually need. If you operate under the terms of the hosting agreement (don’t use it as a personal backup service or run particularly resource-intensive scripts for example), you can use all of the space and bandwidth you want without ever running into trouble. I’ve used several Web hosting companies in the past, including HostGator — one of the bigger hosts offering “unlimited” packages. I’ve hosted dozens of sites (including reasonably successful ones) on a single shared hosting account. I’ve never been asked to pay more for resource usage issues. And I’ve never had problems accessing things because of someone else’s overwhelming resource usage on the server. That’s the reality for most people I know using shared accounts. They go in with the understanding that it’s not all about them, and they’re bright enough to know they can’t expect the world for next to nothing. That’s an important consideration for some site owners and bloggers too — price. Price doesn’t really bother me now. I’d pay whatever I had to pay to keep my sites active and running properly, and they earn far more than enough to pay for themselves. But when someone’s just starting out (and when I was starting out), price matters. Perhaps they’re playing with their first site to see what they can make of it. Unlimited hosting and that dreaded overselling allows a company to keep prices low — lower than if they allocated a very specific amount of space (used or not) to each customer. 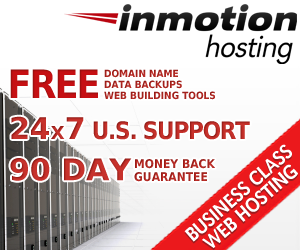 Clearly that upsets other hosting companies which can’t then compete on price. But for many customers — those who really don’t need a lot of resources — it’s much less of a “bad” thing. Look. I come from a public relations background — an honest and transparent public relations background at that, not the hyped up spin-central variety. I’m a big fan of transparency. And yes, I wouldn’t mind seeing some of these “unlimited” offers being a bit more transparent. But even though marketing might be PR’s “evil twin,” it’s really not evil. Calling a plan an “unlimited” hosting plan is really nothing more than creative branding / naming. As long as there’s an unlimited aspect to it, it’s not really dishonest. More importantly though, as long as the terms are clearly laid out for customers before they sign up, it then falls on the customer to know what they’re getting into. If plans were marketed as something they weren’t — called “unlimited” when no element whatsoever was unlimited by the hosting company — I’d call that false advertising at best. And I won’t say there are no “unlimited” hosts doing this. Just not the ones I’ve done business with. What really irks me though is when I see other hosting company reps bashing the “unlimited” hosts because they don’t like the marketing strategy, when their own marketing strategy seems to be to attack competitors. Instead, if they kept the focus on the customer and how they can benefit them, they wouldn’t come across as quite so whiny — the main reason I won’t do business with companies pushing their own service that way. Do you have any experience with “unlimited” Web hosts? Have you had any problems, or has it worked out well for you so far? Leave a comment and tell us about it.